Look at the National Geographic clip (video) for an idea of a typical flight with me. 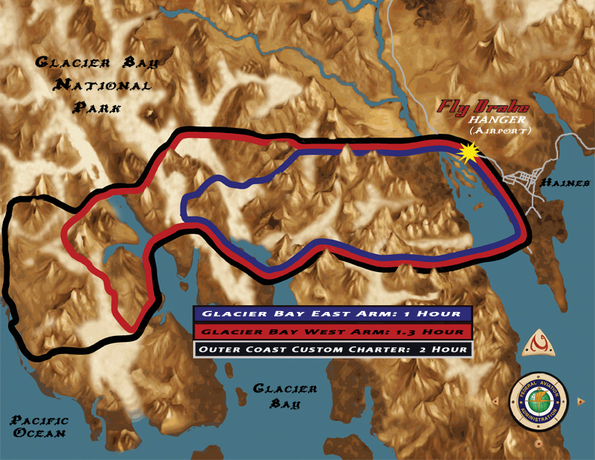 Glacier Bay Scenic Flights from Skagway Alaska. First off, Skagway Alaska is very easy to navigate. Boats, Planes, Trains, and the Skagway town are all within blocks of each other. Super easy, depart your cruise ship and walk to the airport..